Most individuals dread a bathroom fixture breaking. Whether it's the showerhead or the faucet, when this happens, many people tend to immediately call a plumber in order to fix the problem. But rather than relying on someone else to replace your bathroom accessories, why not do the job yourself? It may sound like a hassle changing the fixtures in your bathroom, but depending on the case, this can actually be rather simple. Not only will doing so save you money, you will also save time from setting up appointments and making arrangements to getting the job done by someone else. 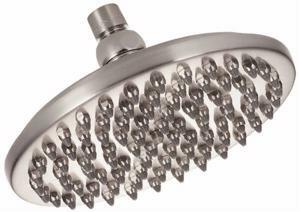 Many showerheads, for example, are being manufactured to offer users the easiest installation possible. Some models require you to use nothing more than a plumber's tape, while others are simpler - all you have to do is remove your broken showerhead by loosening it with pliers, and installing your new fixture is as easy as screwing it into the pipe and tightening it. That broken faucet on your bathroom vanity can also be replaced with ease. Just make sure that what you're buying will fit the specific countertop and shut-off valve specifications and you'll be good to go!